Rejected transplant kidney. Light micrograph of a section through a transplanted kidney that has been rejected by the recipient's immune system. 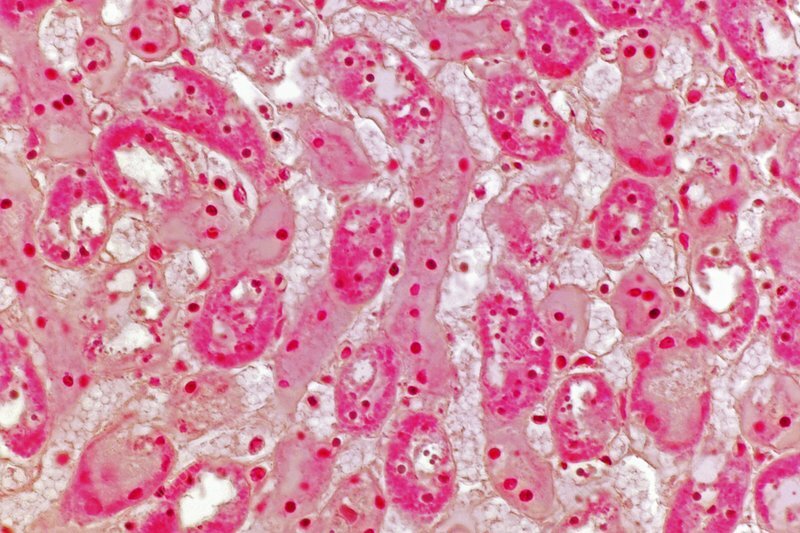 Numerous small lymphocytes (white blood cells), with their small round nuclei (dots), have infiltrated the kidney tissue and killed the kidney cells through the release of cytotoxic (cell-killing) granules. This has caused disaggregation of the renal tubules and destruction of the organ. Magnification: x1670 when printed 10 centimetres wide.